Reading aloud to your child strengthens the part of their brain associated with visual imagery, the ability to understand stories and word meaning. Eight-year-olds still love the comfort of cuddling up for a good story. And with your help, they can also pick up on important book smarts, like information about authors, illustrators, chapters, the table of contents, page numbers, indexes and back covers. These skills are called "concepts about print," and they help kids prepare to be successful independent readers. During read-aloud time, take turns reading to each other. During read-aloud time, take turns reading to each other. This builds children's fluency and gives them an authentic audience to read to. You can alternate paragraphs, pages or chapters. For some extra fun, check out a children's play or a reader's theater collection from the library and take on the roles of different characters. Your child can learn about predictions and new weather vocabulary as she tracks weather information on a chart. Bots and word bits! Your child can build words from word segments in this fast-paced bot spelling game. Strong readers aren't passive — their minds are constantly making connections between what they read and the world around them. Look at all those tall buildings! It looks a little bit like New York City, where your aunt lives. The kids seem nervous about the first day of school. Do you remember your first day of school? There's a wizard in this story! What other stories have we read about a wizard? Martha needs help driving her crazy vehicle. Your child can learn new vocabulary such as accelerate and transform as he helps Martha deliver packages. Tobey needs your child's help building a hugely evil robot! Your child can follow directions to design, assemble, and give character to her robot. 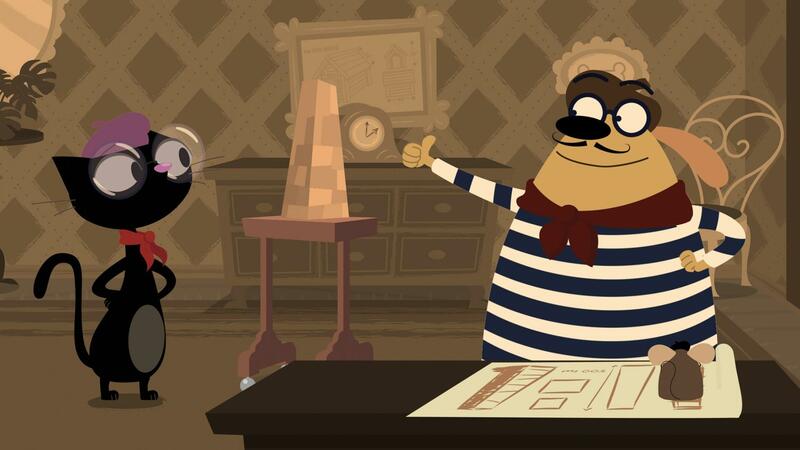 Ruff’s first “ARF” assignment reveals how cutting holes in a tower may be a solid idea. 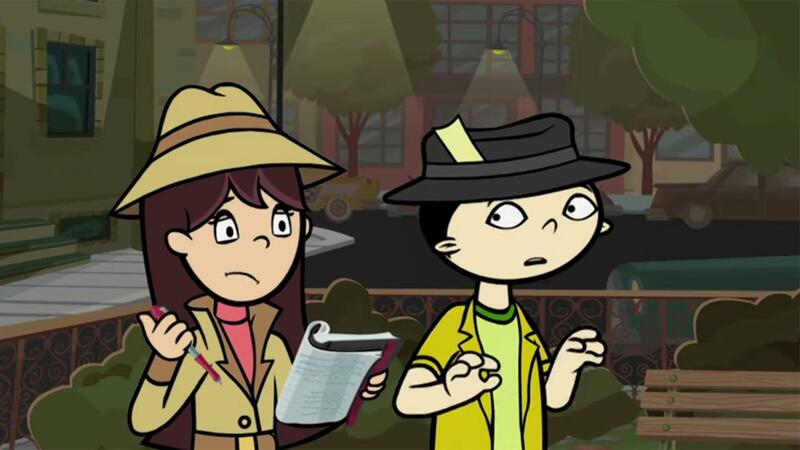 The journalists talk about the word "DETAILS" in this clip where Becky denies her secret identity.